ordering or your order will be shipped as depicted. 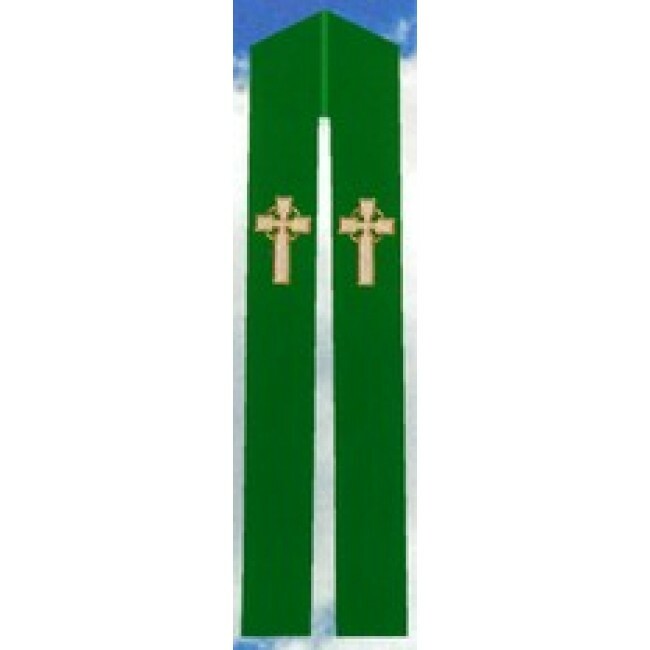 Celtic Cross Stole can be worn by Priests and Pastors as well as Deacons. Material of Textured Fortrel Polyester with Raised Multicolor Swiss Schiffli Embroidery. The Celtic Cross combines the cross itself with a ring surrounding the intersection, symbolizing Celtic Christianity. Stole is available in eight Liturgical Colors.